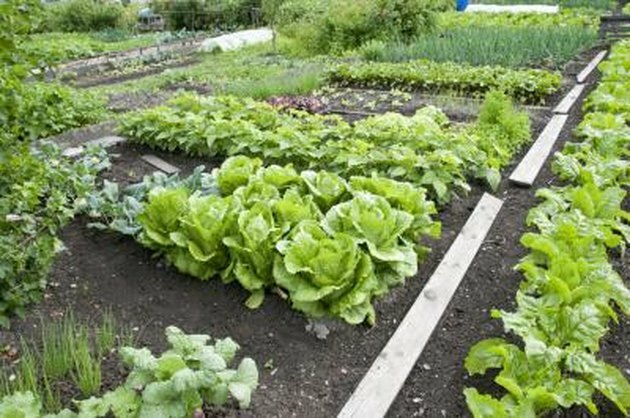 When growing vegetables, you can enhance the health and productivity of each of your crops simply by pairing certain crops together, a practice known as companion planting. Some pairings of plants are compatible because each crop relies on the soil for different nutrients. On the other hand, planting two plants from the same family together can increase the crops' overall susceptibility to pests or diseases that commonly affect the family. The bed of a vegetable garden. Tomatoes grow in a vegetable garden. Two common vegetables in household gardens, carrots and tomatoes fare very well when planted together. 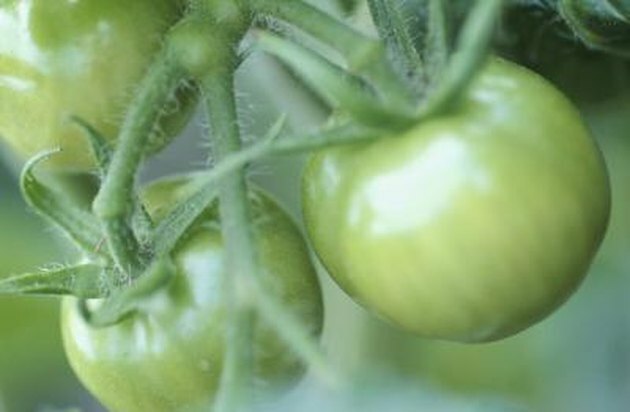 The leaves of the tomato plant produce a volatile alkaloid substance known as solanine, which is frequently used as a natural insecticide. The plant's ability to repel certain insects extends some protection to carrot plants, as well as chives, onions, basil and parsley and flowers such as marigolds, nasturtiums and roses. 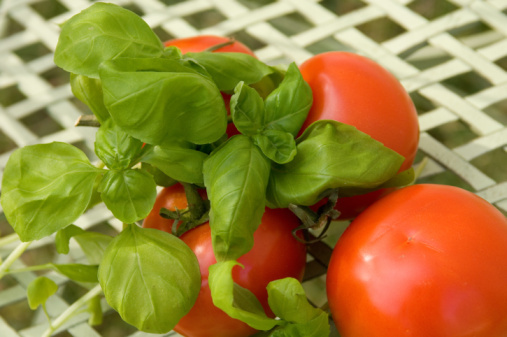 Besides the apt pairing with tomatoes, carrots grow well next to several other common garden vegetables, including peas, cabbages, leaf lettuces and chives. 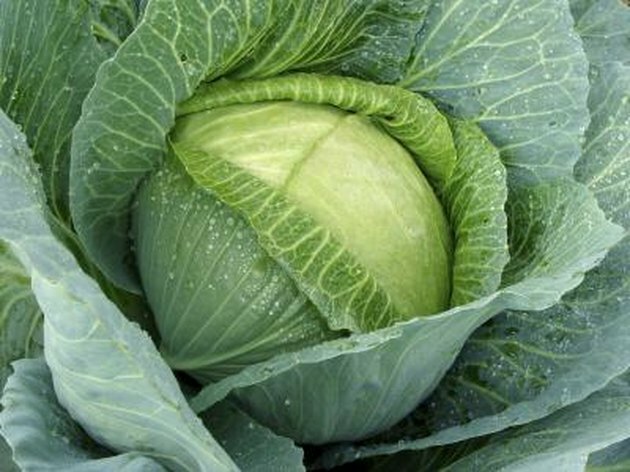 A cabbage plant grows in a garden. Onions grow well next to cabbages and various cruciferous vegetables, such as Brussels sprouts, broccoli or cauliflower. It's especially important to scatter individual onions among other plant species; otherwise, many closely sown onions will attract species-specific pests, such as onion maggots. Onions also grow well alongside beets, strawberries, tomatoes, lettuces, summer savory and chamomile. The last two crops improve onion flavor and growth. If you grow pigweed, plant it close to the onions, as it makes various subsoil nutrients available to the onion plants. Avoid planting onions close to peas or beans, as onions can stunt legumes' growth. Green beans sprout in a garden. Beans fare very well beside corn, growing up the corn stalks to reach the light. While the corn provides support for the bean stalk, the bean plant fixes nitrogen in the soil, anchors the corn and provides a line of defense against foragers, such as raccoons. Pole beans also benefit from placement alongside radishes. Bush-growing beans do well next to beets. 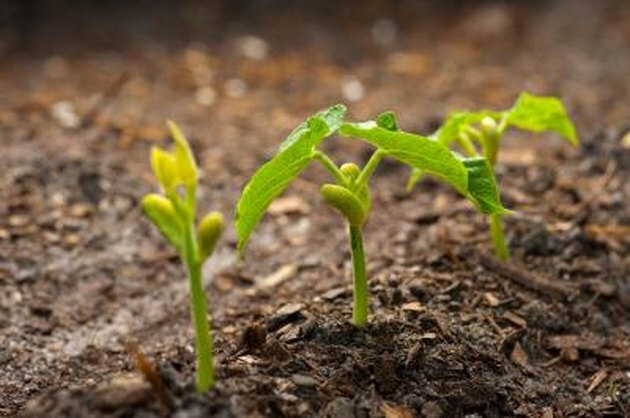 Generally, beans grow well beside cucumber and next to carrots, which aid the beans' development. 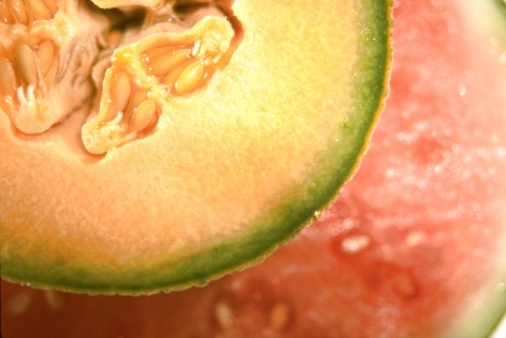 Avoid planting beans too close to sunflowers, kohlrabi, onions or garlic. A stalk of broccoli growing in a garden. Broccoli, as well as other cruciferous vegetables, grows well alongside dill, mint, rosemary, sage or chamomile. Dill improves the plant's robustness, chamomile improves its flavor and rosemary, sage and mint serve to keep away the cabbage moth. Mint also repels ants and generally improves flavor. 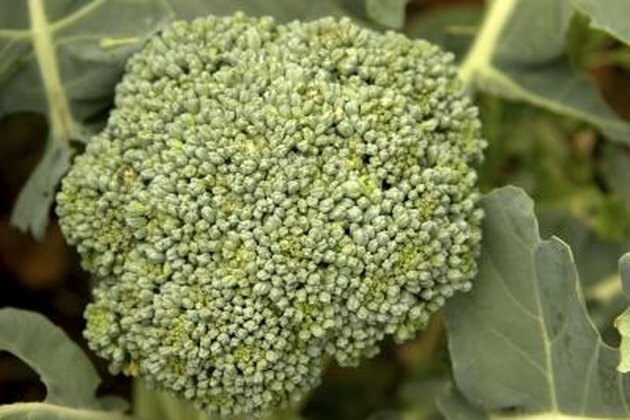 Avoid planting broccoli or related species, such as cauliflower, kale or Brussels sprouts, close to tomatoes. Do not plant broccoli next to tomatoes, pole beans or strawberries. Can You Grow Strawberries & Tomatoes in the Same Garden?